You are what you eat. So what are we eating? 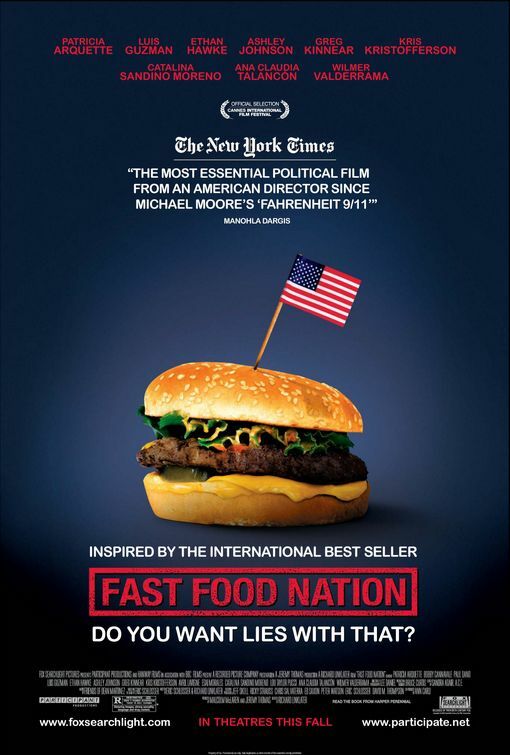 I challenge you to read Omnivores Dilemma, Fast Food Nation, and Pandora’s Lunchbox and not change how you eat and view the food industry. I read all three this year and I cannot eat like I once did. 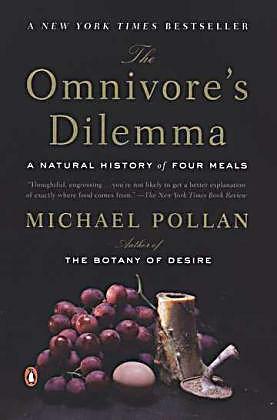 Omnivores Dilemma reveals the pervasive intrusion of corn into our food. This is not the wonderful sweet corn that I grill in the husks with butter and chili powder, accompanied by a summer lager, a treat to be savored. No this is the Monsanto/Cargill, GMO modified, non-food, that is called corn, but other than appearance has little in common with my grilled treat. This corn is bred to be resistant to Roundup, the weed killer that just coincidently is manufactured by Monsanto. This stuff is inedible as it comes from the plan, it is industrial and represents the majority of the corn grown in this country. If you plant kernels of the sweet corn, you can grow more sweet corn, but not this Monsanto aberration, it is designed to not reproduce. Yet Monsanto will graciously sell you more corn seed next year, along with their Roundup, lining their coffers with profits which increase thanks to government subsidies. This corn is fed to over 80% of beef cattle to quickly fatten them, but of course cattle can not digest corn, they resist it to the point of getting sick which requires antibiotics just to keep them alive, but get fat they do, and in record time. This corn is turned into corn syrup, of little to no nutritional value, yet it is a component of most of the processed food we eat. The alternative – eat local, eat organic, eat healthy. Drive down any main street in most any city, chain restaurants abound – burgers, Mexican, Italian, Seafood. The convenience is attractive, the signs and decor are enticing. But, behind the signs and the convenience is an industry that has changed our world and not for the better. The beef comes from an industry dominated by, what a surprise, Monsanto and Cargill. Cattle that are mistreated and almost force fed, employees that are treated as inhumanely as slaves. Employees are paid the bare minimum while the companies receive government grants which enables them to pay low wages and offer few benefits. The whole operation makes the “Iowa corn fed beef” slogan sickening. Our desire for cheap fast-food has created a food industry that mistreats animals and people, promotes e-coli, while delivering a product that has increased obesity at epidemic rates. This book explores the chemistry and processes of the additives and ingredients in processed food. Things that sound healthy may come from questionable sources. Vitamin C sounds good, it is actually ascorbic acid, natural in chilis and citrus to name just two Yet most of the Vitamin C added to our food comes from China. They buy the majority of the wool that is sheared from Australian sheep. It is the lanolin in the wool that is converted into ascorbic acid through a process using some pretty nasty chemicals, then added to our food. 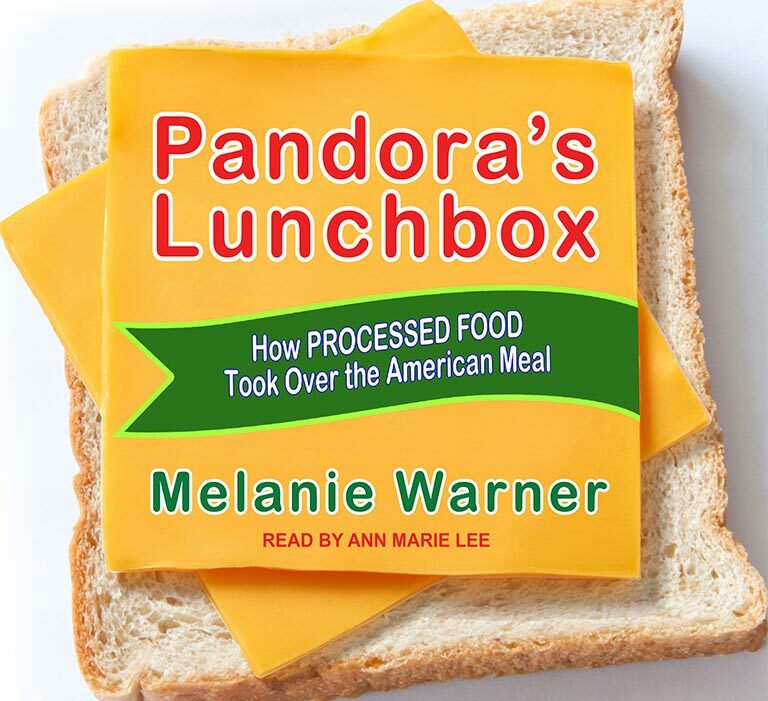 The author of Pandora’s Lunchbox has kept quite an inventory of processed foods, some for many years, it does not spoil. Bread and cheese that does not mold, it is like plastic, and sadly edible. The choice is eating a mouth full of manufactured chemicals that have little to do with actual food, or eat real food. There is only one conclusion, food was meant to be grown, harvested, and consumed locally. 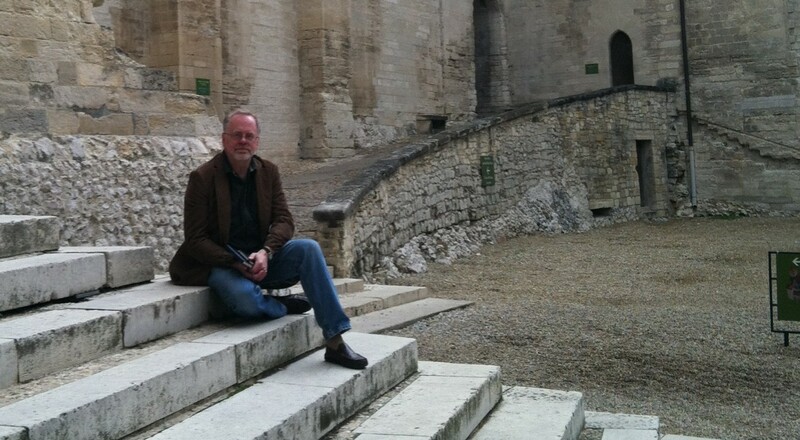 Sadly, we have sacrificed convenience and cheap, for health, humane, and sustainable. There are some glimmers of hope. That bastion of fast food, the original franchise, McDonald’s is actually changing ever so slightly. WalMart, known for how poorly they treat their employees in the pursuit of profits, is actually selling organic and local in its stores. Even Tyson, the embodiment of cruel treatment of birds, is making some subtle changes in caging. These are not big, and not near enough, but could it be that consumer demand will one day change the food industry? In the meantime, eat local, eat organic, eat humanly-treated, and for the health of you and your family stop eating processed, big food industry products. Tell others, and send a message to big food by not spending your money. You are what you eat, really. Great article!! And excellent review of these books. Fried smelt sounds interesting and the description of the fries intrigues me. I like crispy fries but Rosanne likes them soft and so steak fries are something she likes. But someday I will have to try the fried smelt just to say I have done. Great write up! !